By now it is routine; wake up, dress, potty, wash your hands and face, brush your teeth, get your daypack ready, pack your gear into your duffel bag and go eat breakfast. We have been counting down for the past 3 days and now it is only one more night and one more morning before we get a shower! The coveted shower. If there is ever a next time, I will forego acclimatization days to shorten the number of days without a shower. My hair is plastered to my head and I am sure my body odor is ripe. Lovely. 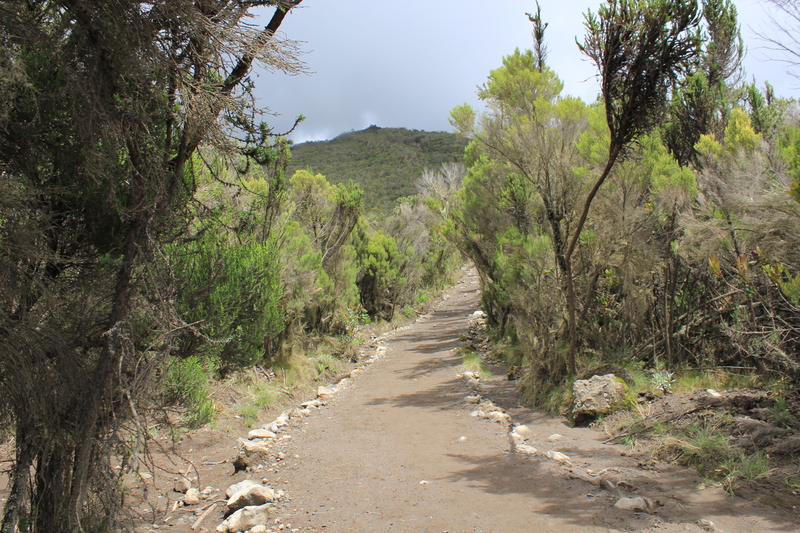 We start off from Barafu camp to Mweke camp; down hill. “Ouch” becomes the word of the day. Do you know how hard downhill is on mature knees? Oh, and Gaudence, who is in the lead, has abandoned the whole Pole Pole routine. We are at cruising speed. 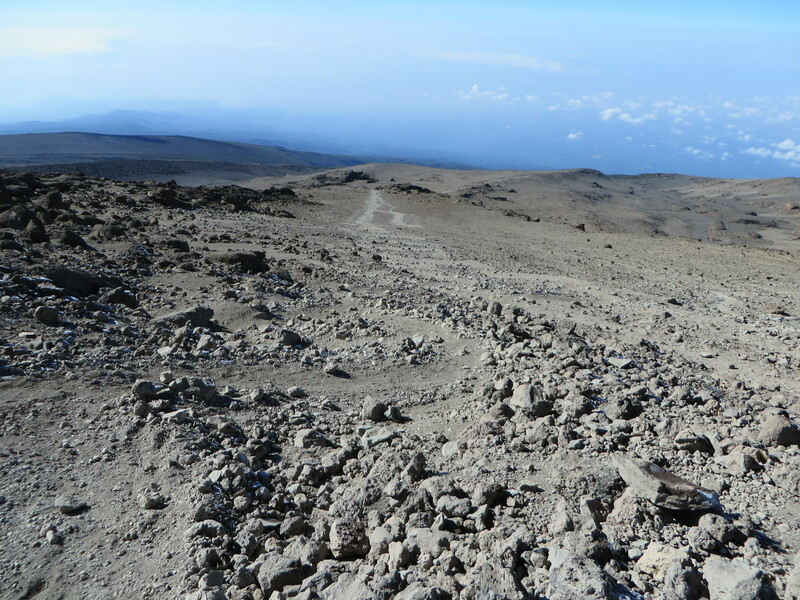 We start off trudging through the same volcanic dust/scree/rock combination we finished yesterday’s hike with. Buffs and bandana’s around our noses to keep the dust from our lungs. Thankfully we hit dirt and vegetation about an hour into the hike. And finally my appetite comes back – for the first time I take out and finish an entire cliff bar. And I could eat another one! 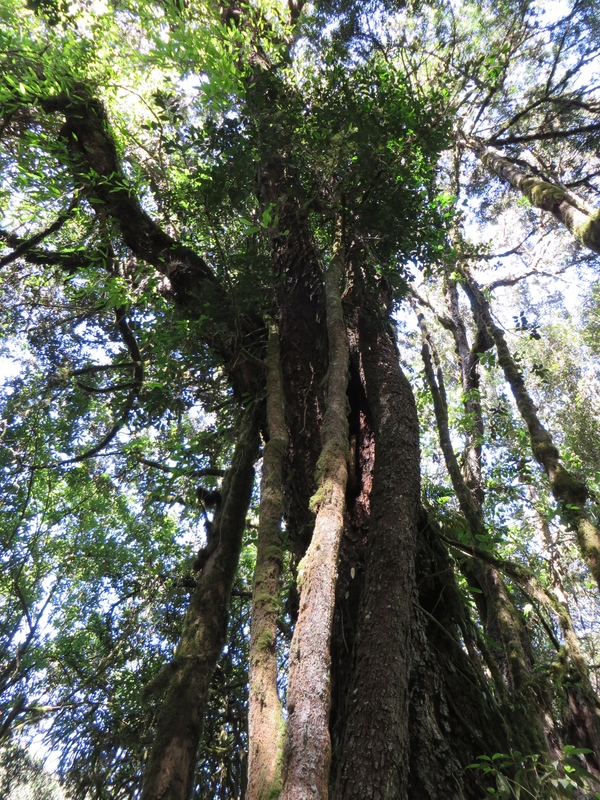 Once we hit the vegetation line we have plants to distract us. 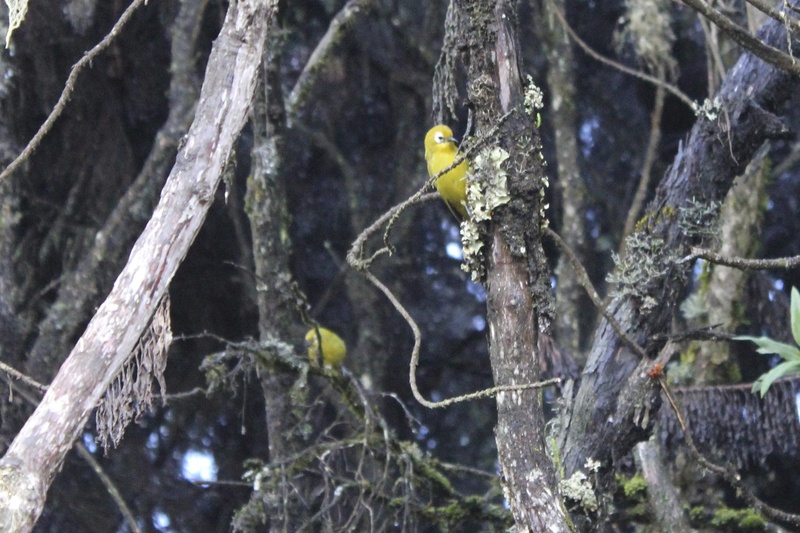 The slopes are covered with caves, green shrubs grow everywhere, and we spot flowers and birds. 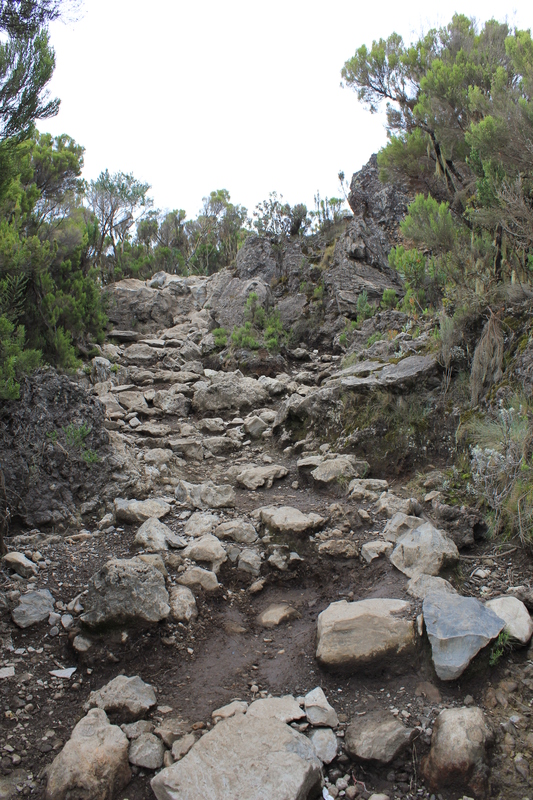 The trail has become defined, lined with rocks, or boulders. 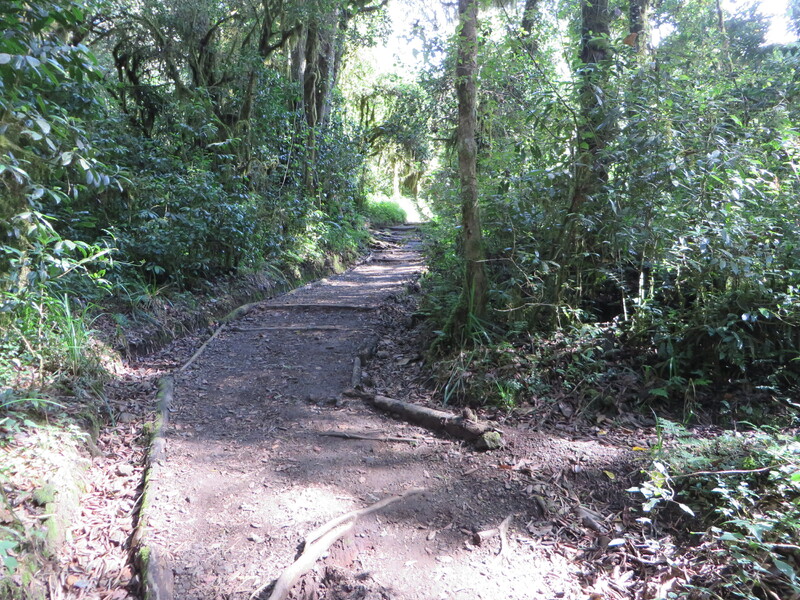 Eventually the trail becomes more like a set of “boulder stairs” lined with slippery mud. While we are quicker on the way down, it takes a lot more concentration to keep yourself vertical. 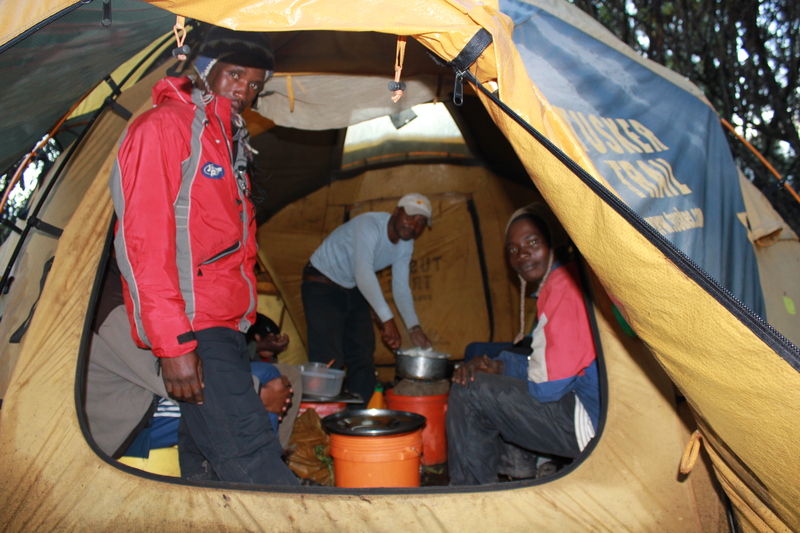 When we finally reach Mweke Camp, we are treated to lunch: our favorite grilled cheese sandwiches. Kerry and Joanie stay in the mess tent, but I need to head to our tent to sort clothes. Tonight, I’ll send a bag of clothing down the trail with a porter, and for $1.00/item they will be washed and delivered to me tomorrow. Once I get into the tent it starts to rain, which quickly becomes a downpour and when I look out of the tent I see rivers running through camp. Felix, our camp manager, is digging trenches to keep the water from getting into the tents. Our tent stays nice and dry on the inside. My gators, however, did not fare so well as I left them outside. 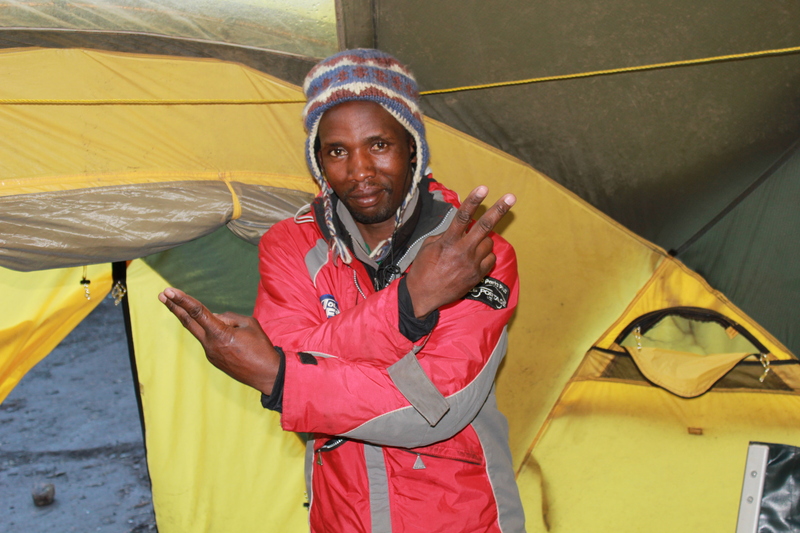 Then the rain turns to hail, little white balls of ice pounding the tent. Am I really in Africa in a hail storm? It’s very peaceful in the tent with the rain pattering on the roof. I’m only slightly worried that a breach will bring water pouring into my sanctuary. But the storm passes and all is well. I am finally able to leave the tent, and after surveying the area, I join the others in the mess tent. Justin has just hung the kerosene lantern (yes, as a matter of fact, it is still cold), and we are already standing around it trying to warm our hands. And then we smell it – one of us has gotten too close and our jacket sleeve is left melting on the lamp. We all get a good laugh; I did bring a sewing kit so we are able to fix what could have been a disaster. 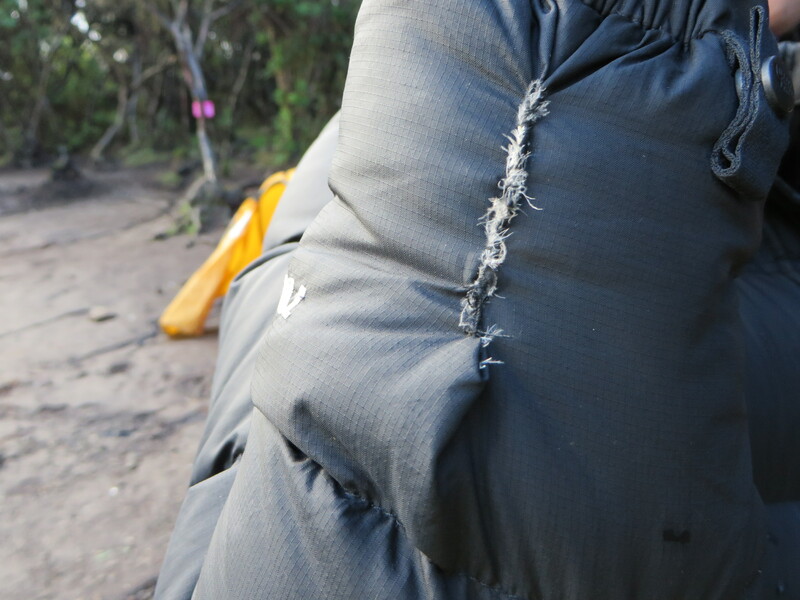 What is really funny is that when Justin comes into the tent he smells what must be a familiar smell of melting jacket and burning goose down… because he immediately lifts his forearms to look at the sleeves of his own jacket. The balance of the night is clear and chilly. And I finally have a perfect night of deep sleep. On the last night of course. 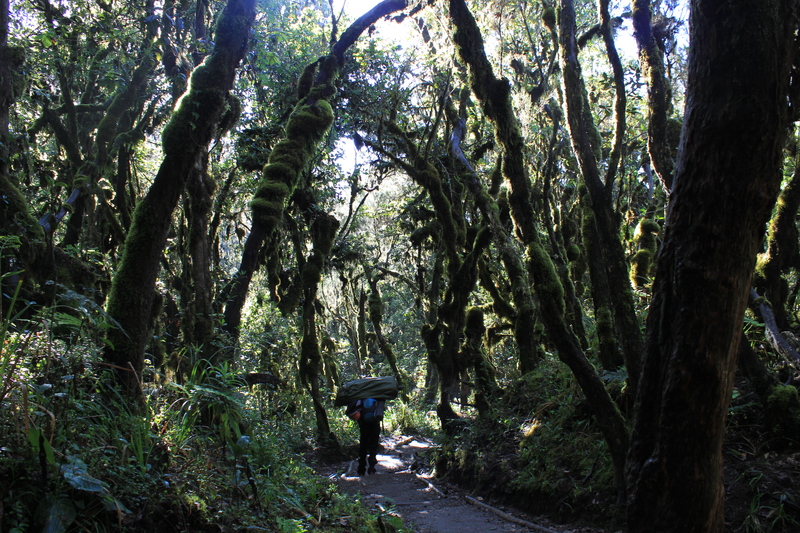 If I could change one thing, and one thing only, I would make the hike without a cold. Morning of the last day on the mountain dawns and we are out of our tents and bundled up. All of our gear is packed in the duffels and we are ready to head to the gate. Today is a short 3 hour hike, but before we go, our crew treats us to a concert. Justin leads this great group of guys who have successfully gotten us up to the summit of Kilimanjaro in three songs. He has a beautiful voice. They all do. We take final pictures and say goodbye. 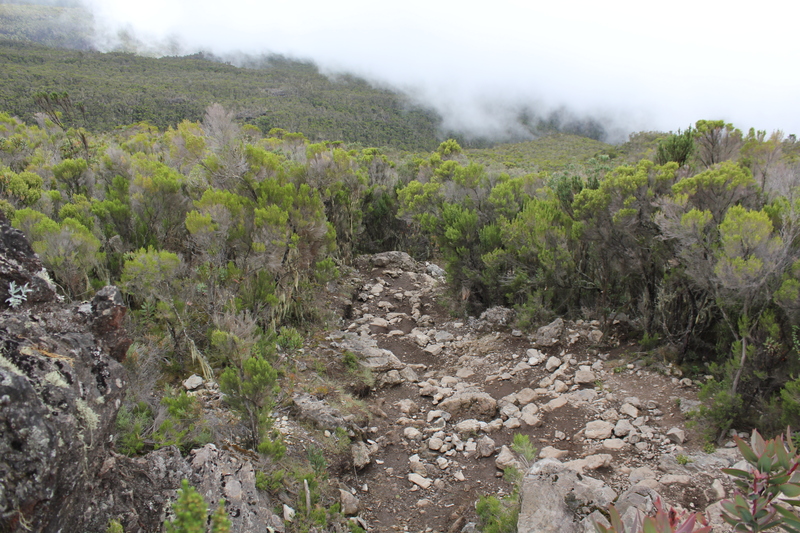 We also go over the whole hike with Urio and Gaudence, pointing out what we really enjoyed and what exceeded our expectations. None of us can think of anything Tusker could have done to make the trip better as they have covered all the bases. Ok, maybe a little bit bigger tent would be nice! It is a little bittersweet to walk down the mountain on that last day. It has been an epic journey, I feel that I really accomplished something big, and yet I cannot wait to stop hiking and camping and start enjoying the comforts of civilization! 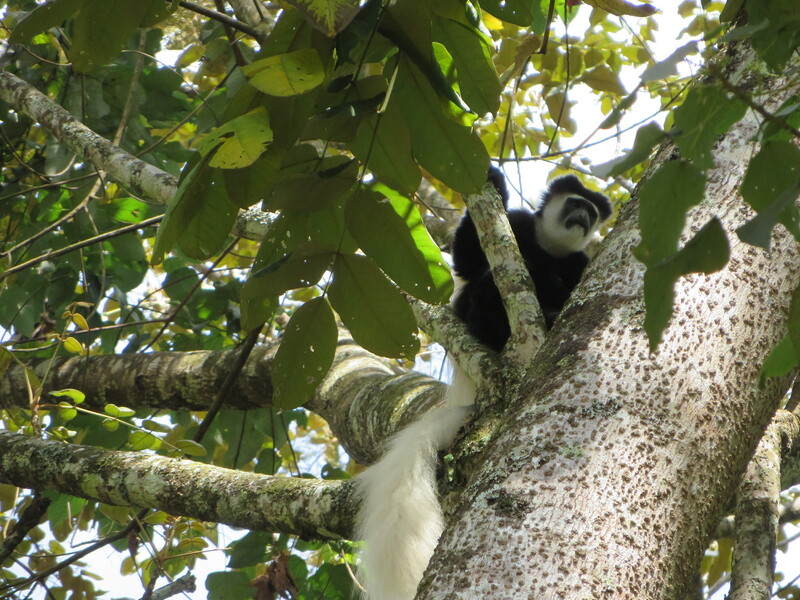 Like a good-bye gift, we hike close by a group of colubus monkeys in the trees, their white tails hanging in the leaves. We watch them for a bit, and then continue the hike. 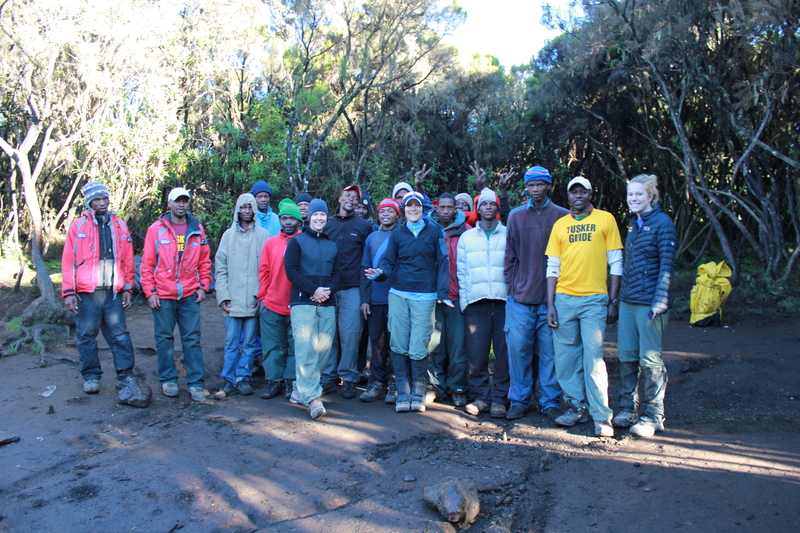 The trail ends at the Mweke Gate where we have one last check-out with the rangers and receive our Certificate of Completion for summiting Kilimanjaro. Now it is official. I have the best feeling in the world: I have accomplished my goal, I have a check mark next to a bucket list item, I am headed back to comfort… I am victorious. Thank you so much for sharing your adventure. I am currently living and working in Kerala, India. I’m headed back to the US for two months till midAugust. 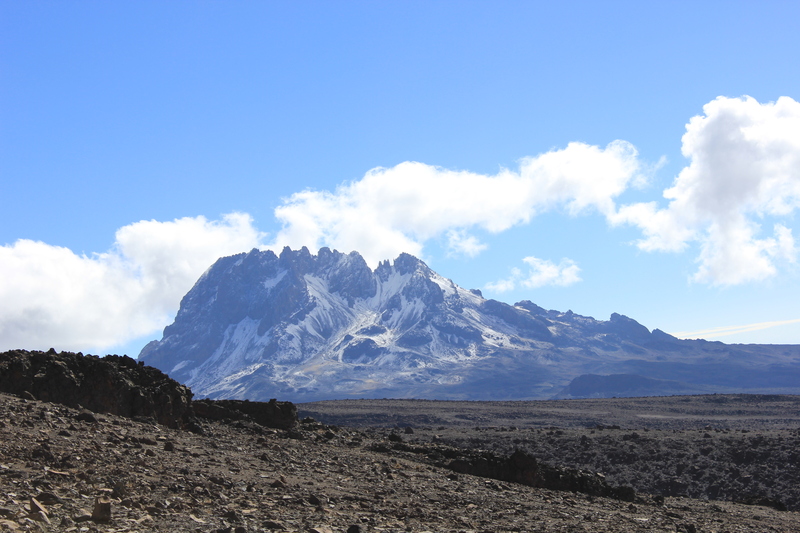 I then return to India and will fly to Kilimanjaro on September 7th to begin my hike up the mountain. Everything you wrote is helpful to me. Like you, I am not a camper. One night in a tent my entire life. Like you, it is the mental and physical challenge that I seem to crave. It will also be my 70th Birthday on the climb. Thanks again. You will be climbing right around my birthday! Good Luck and most of all, enjoy every day of the hike! It is a fantastic experience. Bring warm clothing. 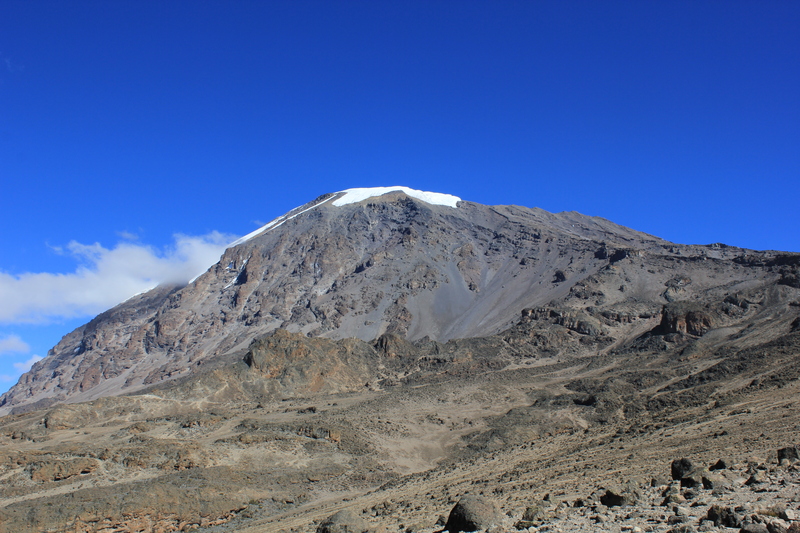 If you are in India, you will be, like me, cold when you are on Kili. Hand warmers are life’s little luxury. I’m climbing next year for retirement gift to self and 55th birthday!! Love reading about others experiences so thanks for sharing! Anything you took that really was awesome to have along? I found the two most awesome things to have were 1) Satellite phone and 2) A special shirt to wear for pics on the summit. There were a few small items I found that were also great: Starbuck’s Via instant coffee (yes, they bring instant coffee, but I preferred a deeper rich roast) and my favorite herbal tea (most of what they have is caffeinated so if you like a non-caffeinated option at night, bring your own). They have honey and sugar and powdered milk to add to your tea/coffee. If you like chewing gum, bring your favorite brand, and enough to share with the guides! Hand Warmers were nice to have. After the 5th day I popped open a pack every day just before dinner when I started to chill. I wish I had brought my favorite pillow.